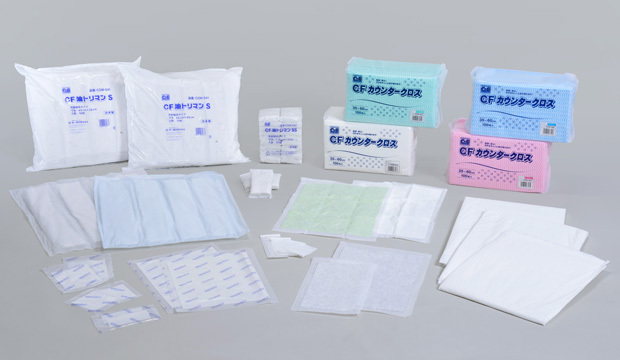 Clean & Fresh "C&F" | Products | DAIICHI EIZAI Co.,Ltd. Home Products Clean & Fresh "C&F"
Daiichi Eizai pursues R&D and marketing of absorbents supporting a wide variety of consumer needs in an equally wide variety of professional work sites. Our products include, for example, freshness retention sheets for food preservation, environmentally-friendly contamination prevention sheets for the workplace, and oil absorbent sheets to minimize oil spills in maritime accidents. and welcome your comments via the contact form provided. Copyright©2012-2015 daiichi eizai co.,ltd. All Rights Reserved.